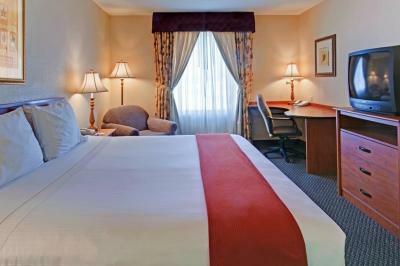 Lock in a great price for Holiday Inn Express Las Vegas-Nellis – rated 8 by recent guests! It was a great place. They had a great breakfast, with pleasant staff. Great location. I would give it a 4 1/2 star rating. Breakfast was great. Clean room. Had no problem with the location. The night we arrived the front desk was very helpful and understanding. Very friendly and did an amazing job at attending us. The breakfast was amazing!! I’d say that was the best part. Everything looked fresh and neatly done. Staff was very friendly and helpful. Food/ breakfast was the same as any Holiday Inn Express. Security guard on duty all night. The staff was AWSOME!!! Day and night shifts. Security was VERY visable and on it. Whenever I have friends or family comming to visit,Im going to HIGHLY recomend this spot. I thank you for your service and will see you soon. Oh I forgot about housekeeping....TWO THUMBS UP . If I had more thumbs you would get them. Everyone was so friendly! Amazing customer service. Overall the stay was wonderful. Breakfast was good and hot. I will be staying there once again, housekeeping made sure we got what we needed. Comfortable, clean rooms. Nice pool and breakfast area. The breakfast had a great selection and was plentiful. Holiday Inn Express Las Vegas-Nellis This rating is a reflection of how the property compares to the industry standard when it comes to price, facilities and services available. It's based on a self-evaluation by the property. Use this rating to help choose your stay! Placed just outside Nellis Air Force Base, minutes from the Las Vegas Motor Speedway, this hotel offers guestrooms with modern amenities including free wireless internet access. 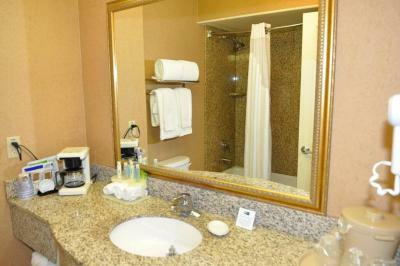 Holiday Inn Express Las Vegas - Nellis provides guests with a variety of complimentary amenities. Guests will enjoy a free continental breakfast with hot items every morning. 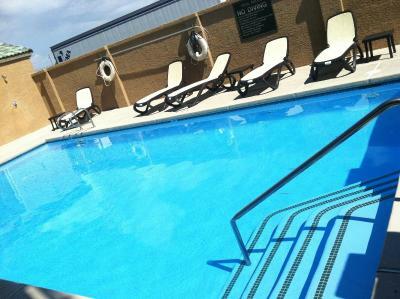 In the afternoon, guests can work out in the fitness center or go for a swim in the outdoor pool. 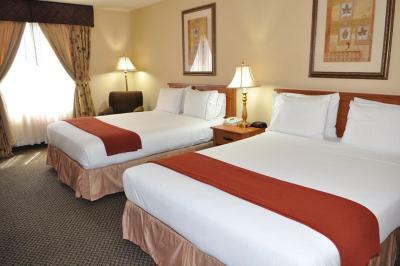 The guestrooms at the Nellis Las Vegas Holiday Inn features comfortable bedding and granite counter tops. 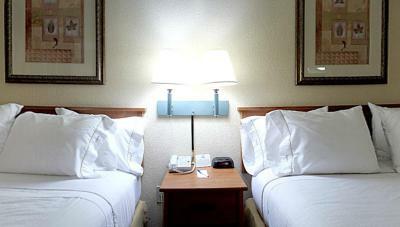 Additional in-room conveniences, such as microwaves and refrigerators, ensure a comfortable stay. 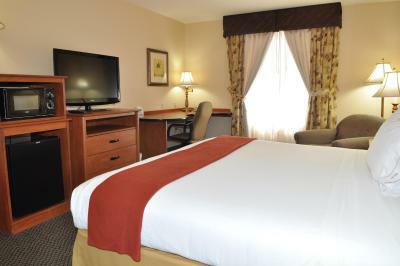 When would you like to stay at Holiday Inn Express Las Vegas-Nellis? A sitting area, work desk, and cable TV are featured in this room. A microwave, small fridge, and coffee-making facilities are provided. House Rules Holiday Inn Express Las Vegas-Nellis takes special requests – add in the next step! Holiday Inn Express Las Vegas-Nellis accepts these cards and reserves the right to temporarily hold an amount prior to arrival. On the morning of checking out we had a someone else at front desk. She was very rude and told us we had to wait and to give her a minute. It was 5 am and we had our children in the car. And a 5 hour drive ahead of us. Every minute counts. The carpet is pretty worn out. Ice machine on third floor did not work, was there for four nights. Prices were increased due to NASCAR being in town. I requested a non smoking room but when i arrived the room smelled like smoke and the smoke detector was removed, leaving wires exposed. Great selection of breakfast items. Check in process was easy.